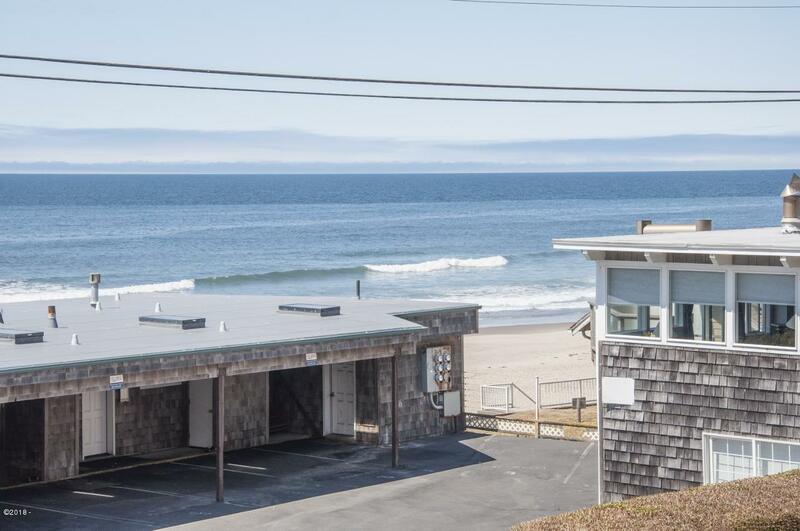 You will want to leave the new sliders ajar, breath in the fresh ocean air and listen to the music of the endless surf from this studio named Kai Lani which means beautiful beach. 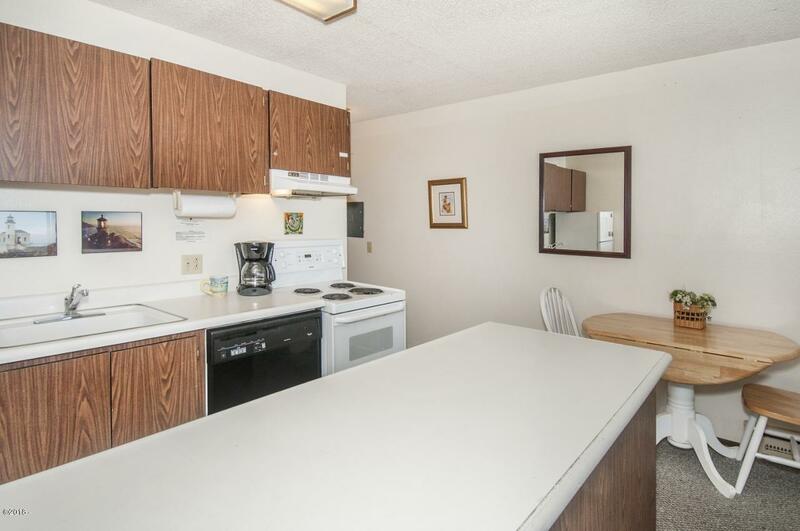 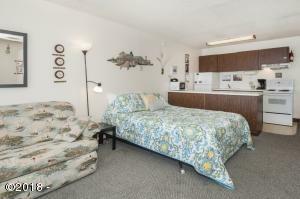 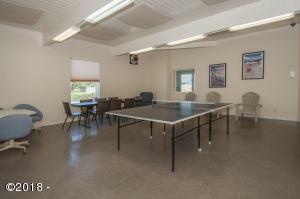 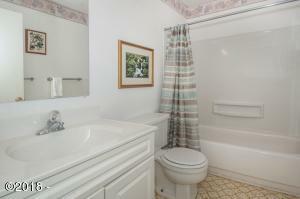 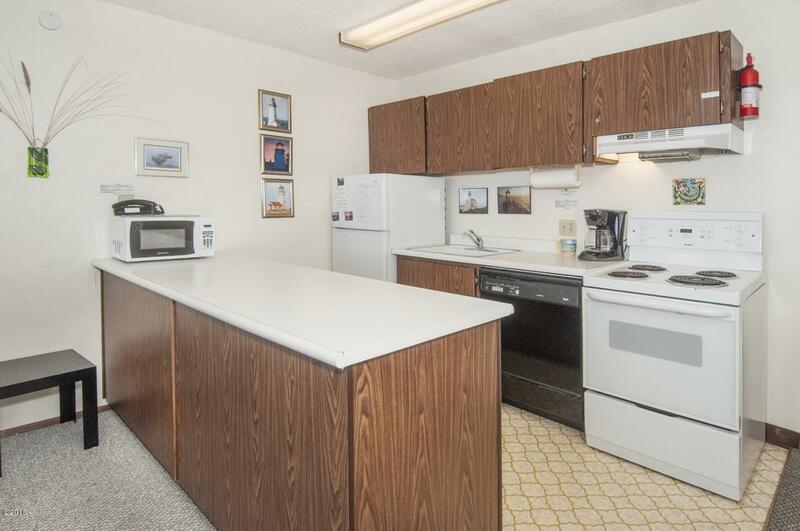 Current owners have meticulously maintained and updated the unit which is being offered furnished and turnkey. 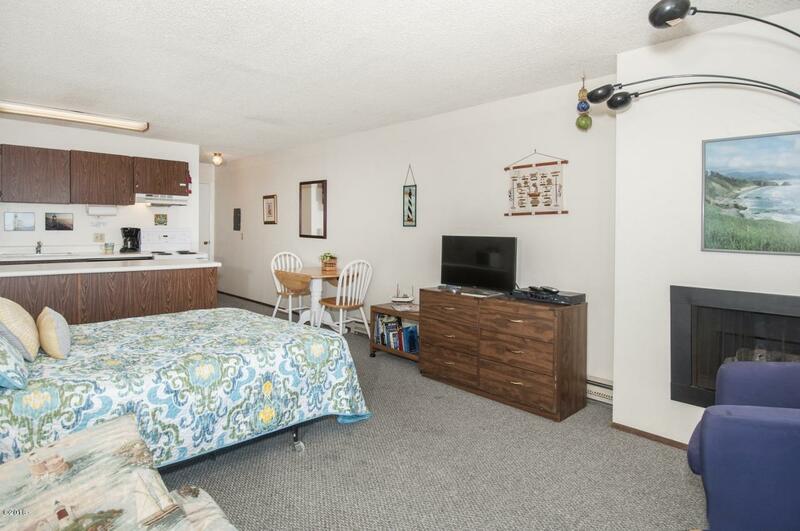 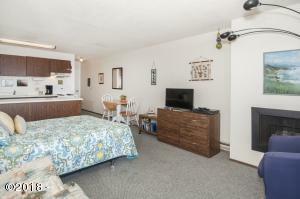 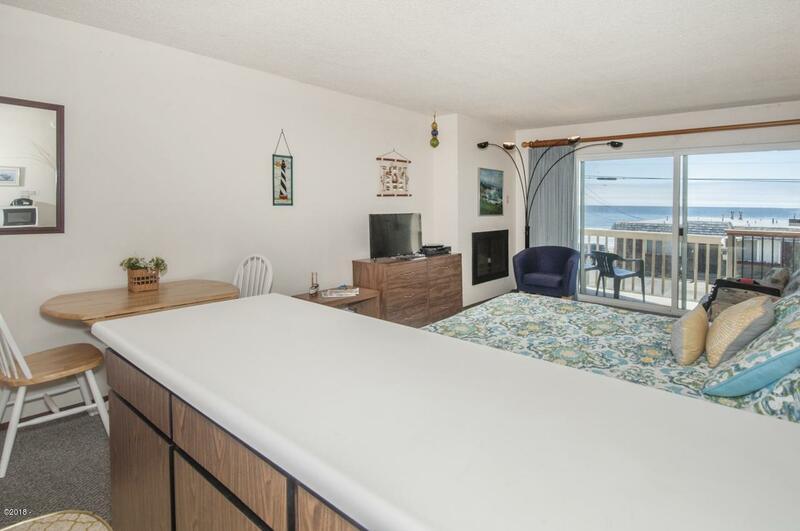 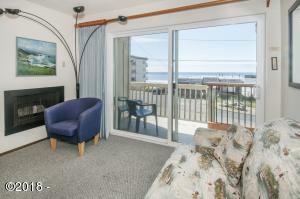 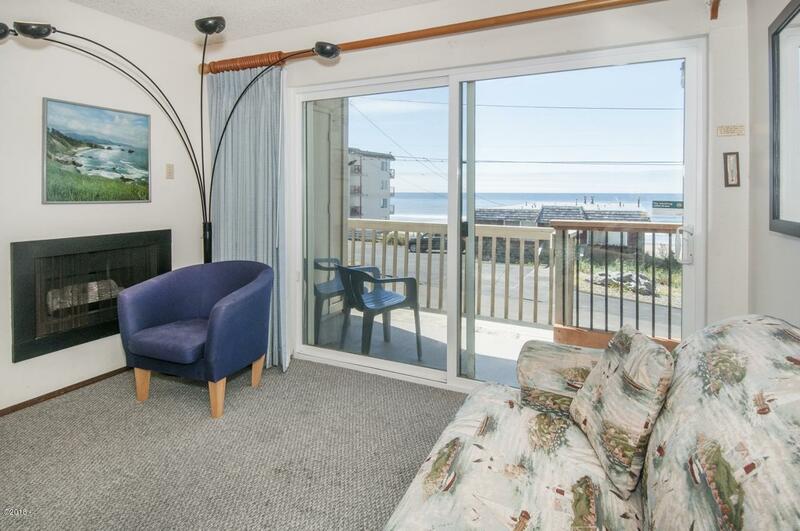 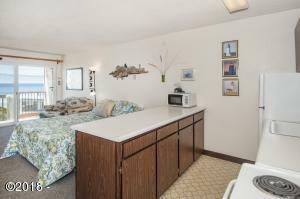 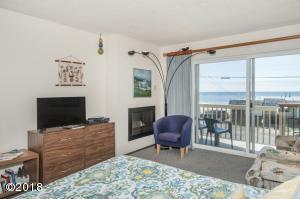 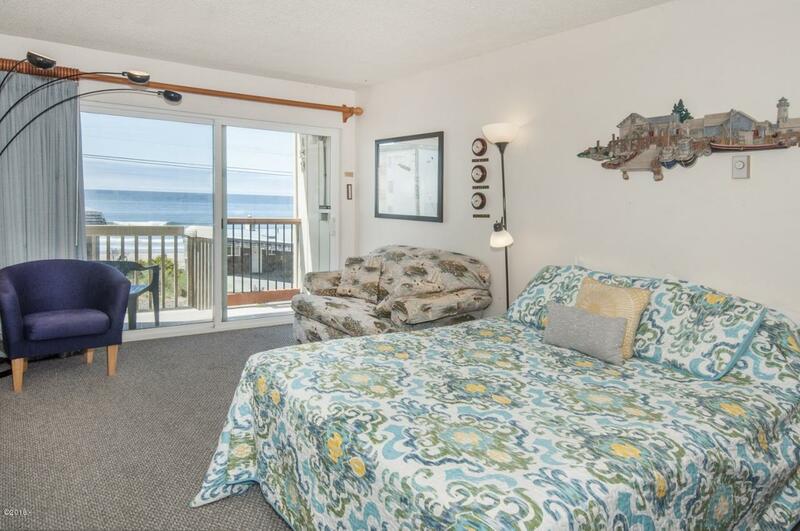 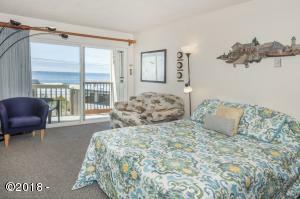 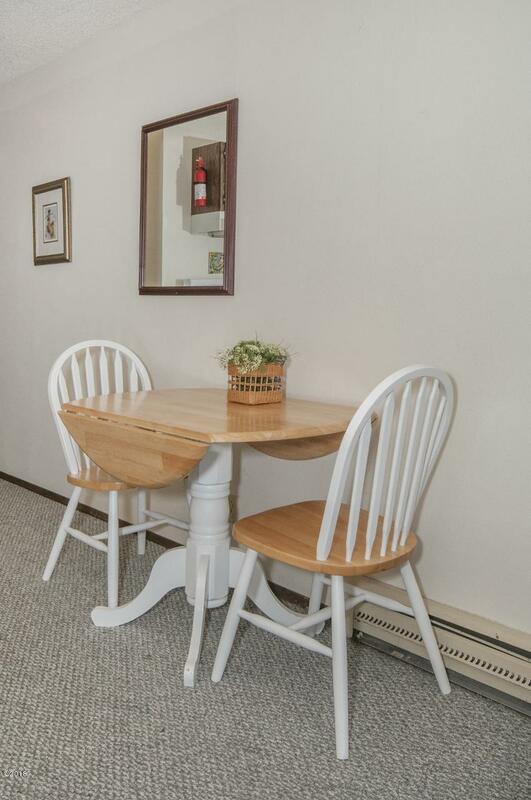 Full sized kitchen for home meals by the gas fireplace or on the ocean view deck. 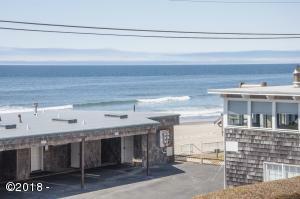 Complex has a private beach access, indoor pool, spa, rec room. 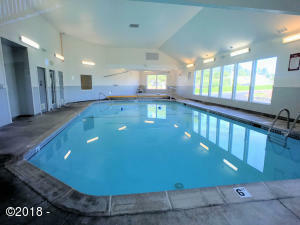 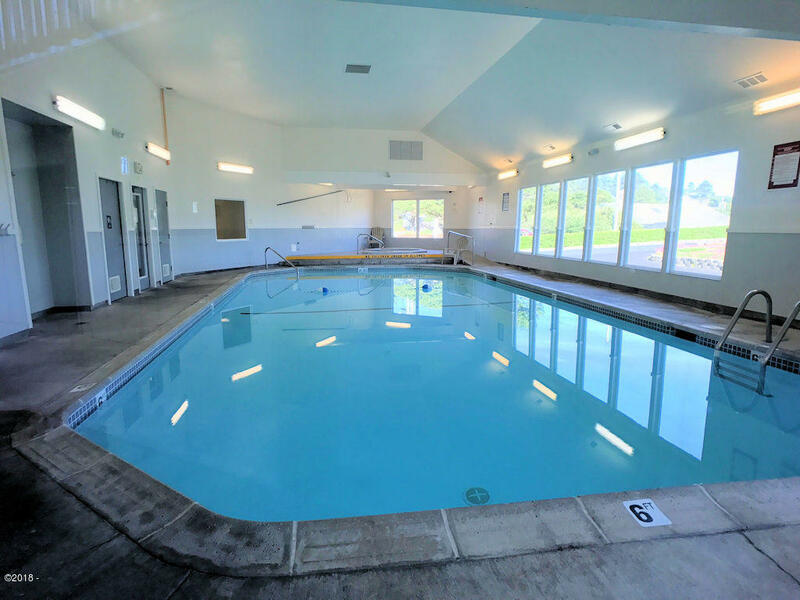 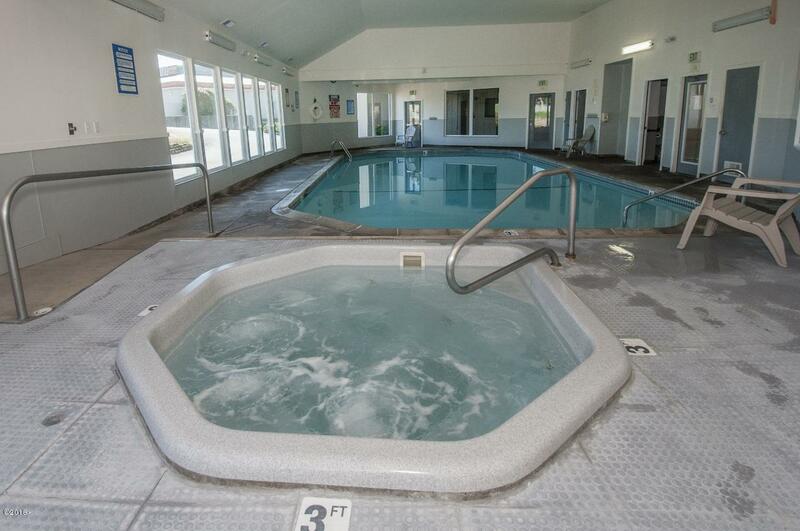 All city amenities including casino and golf just minutes away. 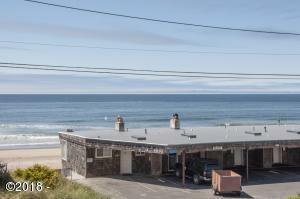 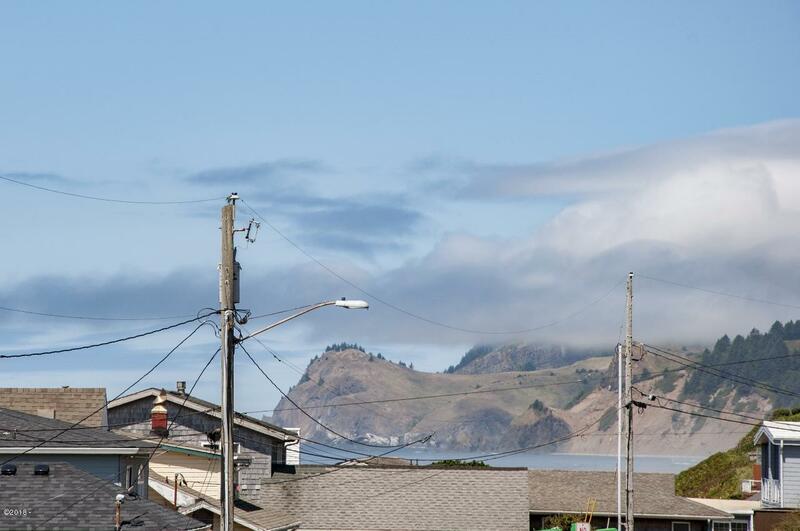 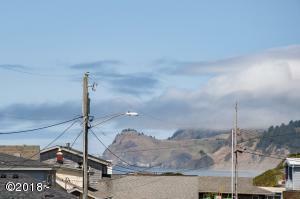 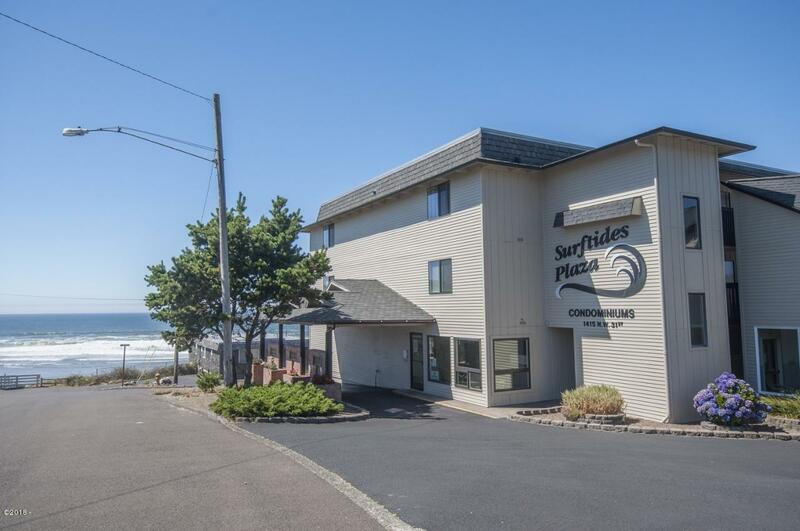 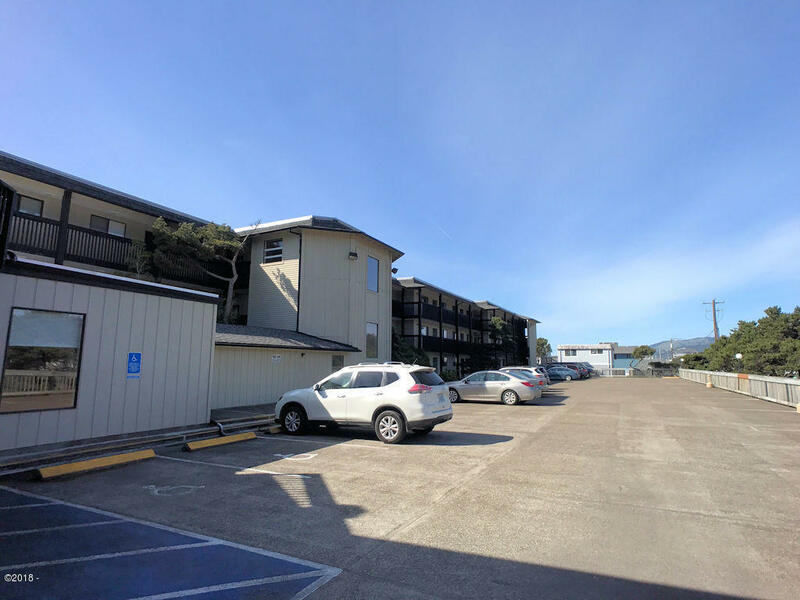 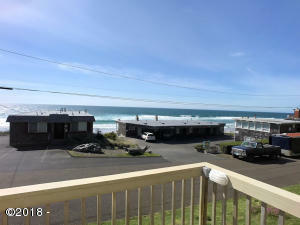 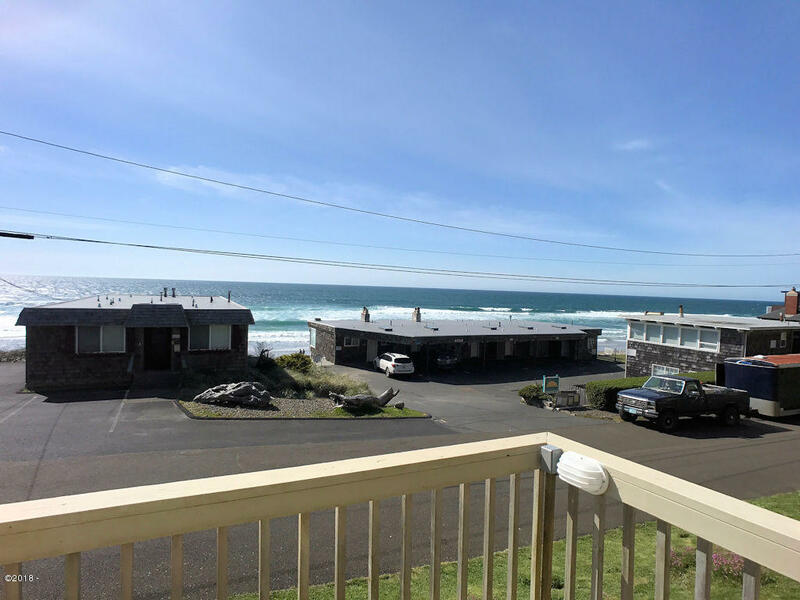 Directions N Highway 101, West on NW 30th, Right on NW Jetty to Surftides Plaza Condo on left.